Collin (Diggs), a parolee facing his final three days of probation, needs to stay clear of trouble. Miles, (Casal), Collin’s hot-tempered best friend, can’t stay out of it. When Collin witnesses a police shooting, the two men’s friendship is tested, sending Collin and Miles on a collision course with each other in this bold and thought-provoking film that bursts with energy, style, and humor. Take home Blindspotting and dive deep into the making of this uniquely personal film with an abundance of special features including two making-of featurettes, deleted scenes, and two feature-length commentaries. The Blu-ray release also features Dolby Atmos audio mixed specifically for the home, to place and move audio anywhere in the room, including overhead. 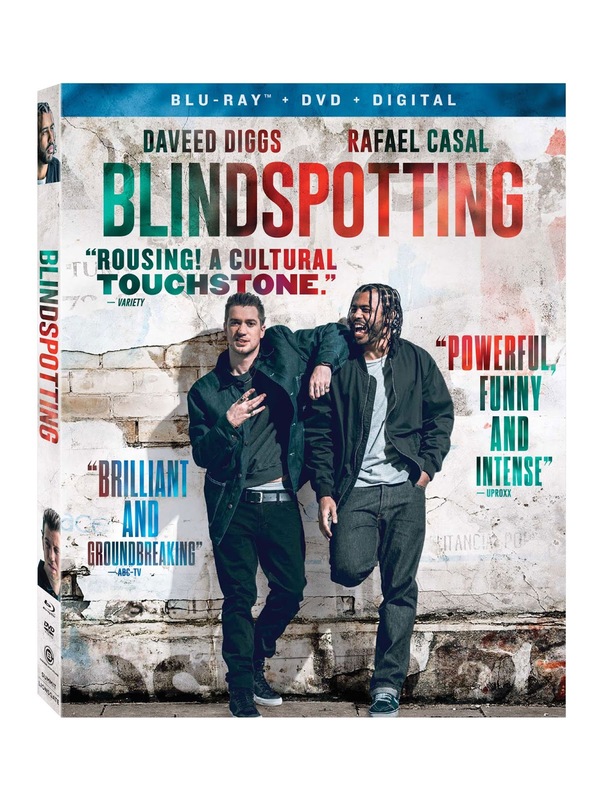 The Blindspotting Blu-ray Combo Pack and DVD will be available for the suggested retail price of $24.99 and $19.98, respectively. Title Copyright: Blindspotting © 2018 Oakland Moving Pictures LLC. Artwork & Supplementary Materials © 2018 Summit Entertainment, LLC. All Rights Reserved.